The Jade Voyager, our lightest mat, is extra thin (1/16″) and extra light (1.6 pounds) and folds up to about the size of a yoga block to fit into your suitcase or backpack. The Jade Voyager mat is great for yogis on the go and for those who like closer contact with the ground. Don’t look for the Voyager for cushion, but it is the best choice if you have a limited amount of storage space or will be using it over another mat. 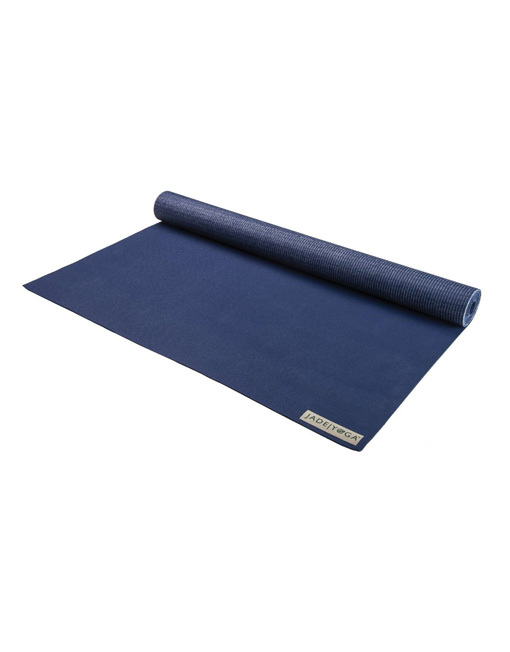 Just like you would expect creases in your clothes when you travel, creases are a natural consequence of folding the Voyager mat – effects will be minimized by keeping your mat rolled when not traveling. The Voyager is 24″ wide and 68″ long, weights just over 1.6 pounds and comes in a variety of colors. Please note: the reinforcing scrim (which is hidden inside our other mats) is visible on the bottom of the Voyager mat. 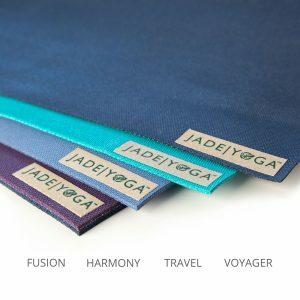 I have been looking for a foldable travel mat for a while and was hesitant to order a Jade mat online without being able to touch/smell/feel it in person. 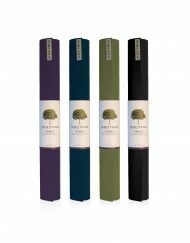 Luckily, I attended a Yoga conference where a very friendly and helpful Jade representative had lots of yoga mats to try! 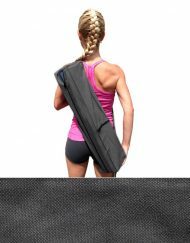 I was so impressed with the texture and the durability of the mat- the representative even showed me her personal Voyager mat that she folds up and takes on trips; it looked brand new! I purchased it in the Navy, but I wish there were more colors. The smell is rubbery but is not nearly as pungent as I had read or anticipated (I am sensitive to smells). It is more like I can smell it when my face is right next to it, but I don’t believe it is distracting or that other people in the room can smell it, and I definitely don’t get a headache from it. It is grippy out of the package and I was able to use it the day I bought it, in a pretty intense/sweaty class, with no slipping. I love that I can fold it up and throw it in my bag, suitcase, or keep it in the trunk of my car. 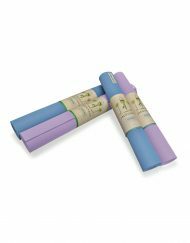 It is a bit thin, so I think it would do best either on another mat or on low-pile carpet (like in a hotel room) if you have sensitive joints. It is a good price point and is from a company that I am happy to support. Great mat and no slipping! Let me start by saying- I love this mat. This was the first mat I’ve purchased since beginning my journey into yoga. 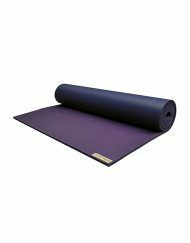 I’ve used the standard thickness mats in the past & I honestly feel more stable on the ultra thin Voyager- especially during standing poses. You’re able to really connect to the ground on this mat.The voyager is also very sticky and rarely bunches- even during a relatively fast flow class. The weight (or lack there of) and the travel readiness of this mat are also a big plus. This past weekend, I forgot to grab my mat before heading to the studio & was forced to borrow a standard, generic mat (gross, I know). After slipping in down dog, a wobbly tree & an overall feeling of being unstable on the mat, I’ve gained a new appreciation for my Jade Voyager & will think twice before leaving the house without it!! 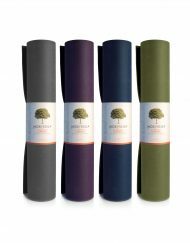 I do a lot of travel for work, and I have tried several yoga mat/grippy towel options. I need something that folds and fits into my suitcase without taking up too much room, and adding too much weight. 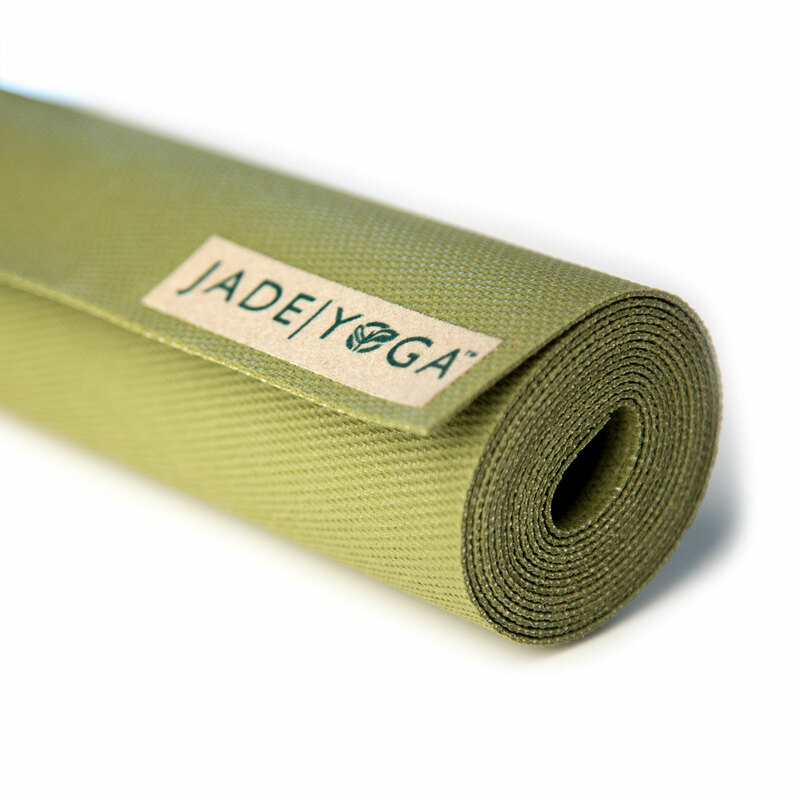 This Jade travel mat is it!!! It folds up for packing and then unfolds without creases. 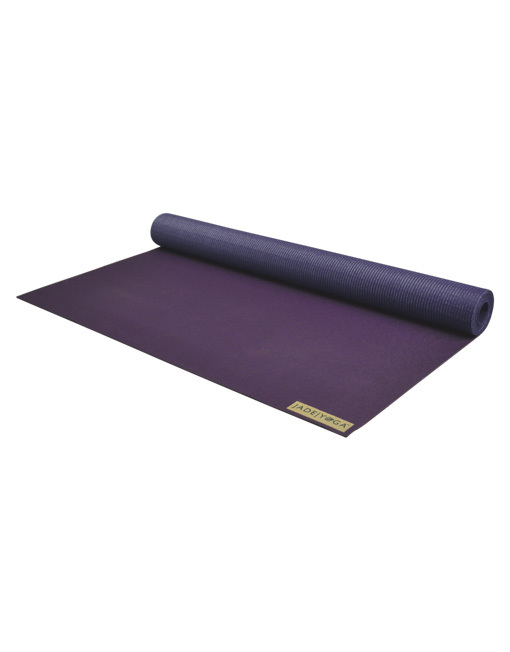 It’s grippy and sticky, which is ideal for doing a floor practice on hotel carpets and patios. As others mentioned, there is no padding so if I were taking a class in a studio, I would place this mat on top of a borrowed mat. Sometimes with movement it cinches up because of its lack of weight but it’s trivial in comparison to the many pluses that the mat has for travel purposes. It does the job and I love taking it with me around the world! I absolutely love the Jade Voyager. It feels light as a rolled up magazine. Its thinness leads to a very tacky sticky effect. And In a hot class, it will become saturated with sweat; bring a towel. This mat is very lightweight and very sticky. My two biggest considerations. As for padding, there is effectively none. I have yet to test this in a ‘sweaty’ yoga environment, but I will report back. Would I recommend this mat? Yes, I already have! 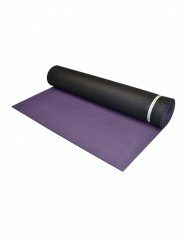 This is my first real yoga mat and it has made such an amazing difference in my practice. 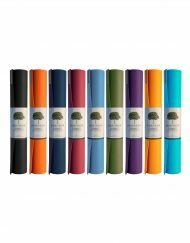 It is very, very thin so often I place my thicker Gaiam underneath for more cushion. I don’t slip and slide, it stays flat and it is so worth it! So happy I purchased this. 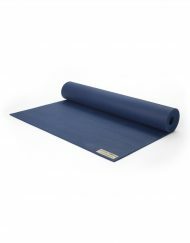 This mat is perfect for travel, it’s lightweight, sticky, durable, foldable & eco-friendly – what more could I ask for? It’s truly wonderful to be able to pack my yoga mat inside my tote! I take this yoga mat with me on holiday, as well as around London when I’m teaching.